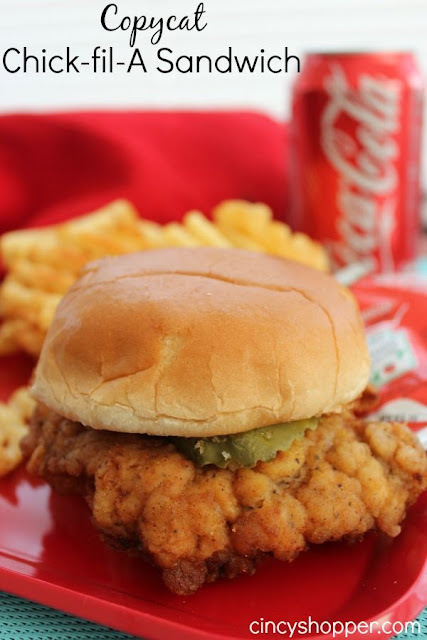 Yes, the hubby whipped us up this Copycat Chick-fil-A Sandwich and it is PERFECT! I love Chick–fil-A but really can not afford to take the whole family for chicken sandwiches very frequently. The hubby was on a mission to come up with a perfect copycat recipe for the original Chicka-fil-A and I think he found it. Quite a few unique steps to make it taste like the real thing.